2. Rosie Red. This traditional Valentine’s Day sends sweet smiles on this loving holiday. We used bold red as the primary color to really get in the Valentine’s Day spirit. 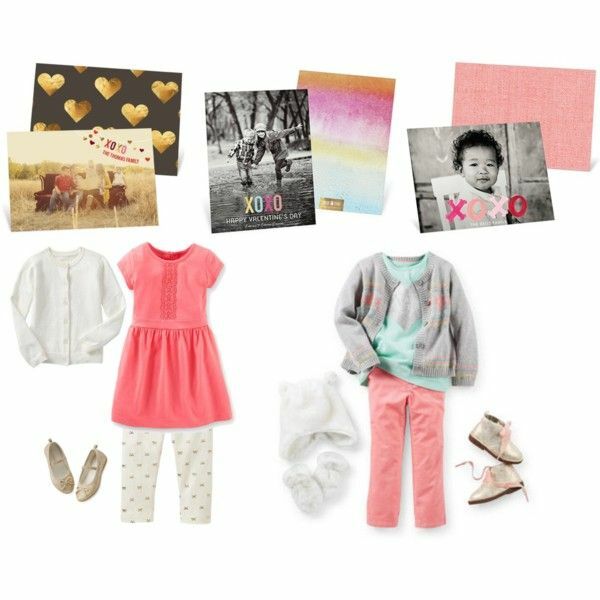 Our Somebody Loves You Picture Frame Valentine’s Day Photo Cards work well with this outfit as they’re already a picture frame for loved ones to display! You can get this look here. 3. Modern twist. We love putting a modern twist on our cards and love when we can share the ideas in the outfits, too! This Valentine’s Day look uses lots of pinks and reds, but the added gray shirt for the little boy makes this look come together perfectly. Accessorize with headbands, shoes and hair bows for added pop to the outfits. Our Love Script Valentine’s Day Photo Cards are beautiful for this style. We hope you were inspired by these Valentine’s Day outfit ideas. If you’re looking for photo ideas, be sure to watch our video on how to create beautiful Valentine’s Day photos. 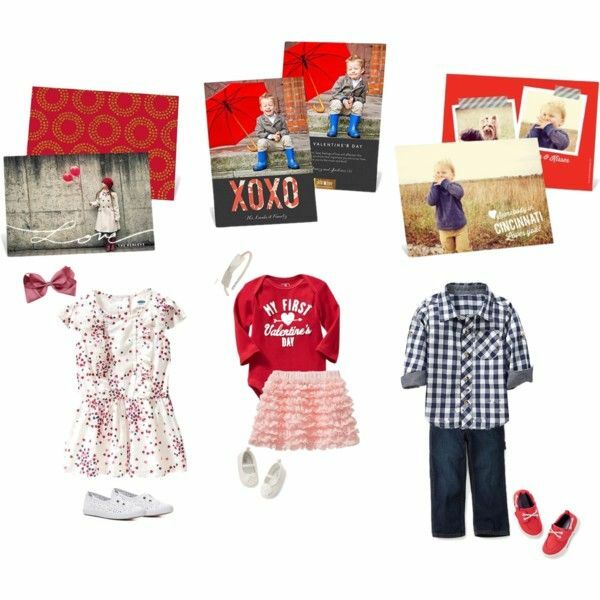 Or, if you are all set on your photos, start shopping our Valentine’s Day photo cards to send a sweet, sweet smile this February!